Are people missing out on you? Maximize your writing potential by creating a marketing plan designed to reach out to people who want to read your blog. In the sea of blogs on the internet, you need to market your work or people are not going to be able to find it. A marketing plan will help you come up with a good strategy to best utilize time and money. This is part of a series on how to prepare a Business Plan. All the textbooks say there are 4 P’s in Marketing: Product, price, place, promotion. The product is what you are selling. Price, obviously for how much. Place is how you are getting your product to the person buying it. Promotion is getting people to want your product, awareness and engagement. A marketing plan should cover all of these concepts. In most marketing plans, the product is the thing that you sell for money. In blogging, there are usually two types of products we offer: products for readership, and products for purchase. The products for readership also often act as a distribution channel (otherwise known as place). Make sure to differentiate between what you offer your readership in your website as a product, and what you use to get that information to your readers as your place. List out all the products you do offer and are planning to offer. Tell us where it is in the product cycle(Introduction? Growth? Maturity? Decline?). How do your products fill a need for your customer? What are the benefits of this product to a consumer? What are the competitive edges to your product? This is also the place to mention intellectual property including things you plan to file a copyright or patent, and mention if it is classified as a trade secret. When you are developing a business plan, you should stick to the business you are planning; however, for many writing at home, our income sources are all over the place. If your plan is about yourself at all, the product list is also a place to write out income sources because those are products you offer. In the planning process, review your industry and market analysis, and ask yourself if your products fit well with where the industry is going and what your customers want. You may decide to eliminate some products or maybe alter some. You may decide to add products. But the point is to plan out your products you do offer and create a plan for the products you will be offering. In your marketing plan, list out all the major products you offer, and decipher which big ones you plan to market most aggressively. 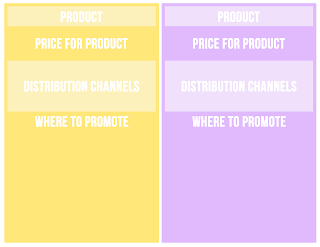 This is where you discuss your pricing strategy, and you should work on this section as you work on other sections, in particular, branding and distribution. First you want to compare your pricing with competition. Are you offering premium services? Or an existing product at a lower price? LOWEST PRICE. If the product is viewed more as a commodity, you want to price lower than average. Here the strategy is to consistently offer an existing product at a better price. The second thing you want to do is define your costs. You want to make sure your pricing exceeds the cost, but also, consider if you have a limited inventory if the pricing meets your needs to make a profit AND is positioned properly for value. Generally, high inventory, lower costs. You may decide to increase inventory so you can price something lower. Third, determine “price modifiers,” for things like discounts, rebates and fees. Also consider if you have a resell program the percentage paid to the person who sold your product for you. For many things in blogging, price might be an email address or “free.” Try to use “free” to your best interest and explain how pricing that piece in particular for free is advantageous (such as the purpose is to create a higher email list). As you do this, consider changes you can make to get you into the value bracket you desire. For instance, if you currently are priced low yet offer a premium service, you may decide to up your price; however, if you are priced low and offer an existing service you can get anywhere else, then you may want to position yourself in a campaign somewhere else on that totem pole to offer higher prices, or you might offer a different product by changing some aspects of it (like adding an additional service to the overall product). You also want to consider how much you make per transaction, and compare with competition. For instance, are they upselling a basic product with accessories? Do they offer bundles that entice people to buy more at a perceived savings? These are things you might be able to do as well, or instead, but the point is to think about maximizing each purchase and develop a product, promotional and pricing strategy for such things. In your marketing plan, you want to list out the prices for each product you offer and discuss your strategy behind those amounts. Place is the easy P-word for Distribution: how you plan to get your product to your buyer. Today’s marketing focuses heavily on being at the right place at the right time, so you want your site and location to be incredibly convenient, popping up exactly when people are looking for you or what you offer in particular. If you were selling T-shirts, you’d have to decide your storefront, and if you are selling them wholesale, factory direct, or retail. Distribution gets more creative than that. Radio Stations with Advertising Salespeople. Avon with Avon Ladies. Amazon with an affiliate program. Victoria Secret and their catalogs. Did you know most doctors’ primary place to gain information on the drugs they prescribe comes from the pharmaceutical sales reps? But there is much more to place than just that, especially for blogs where the blog’s distribution channel can also be a product to companies. Do you want to go from Name.blogspot.com to Name.com? In what ways does your site reach your target market? Promotions? SEO? How convenient are you to your customers? Is there a market offline you’d like to reach? How can you make your place accessible to them? Is your site easy to navigate? How do you think your target market is thinking for site design? For instance, if your target market is very Pinterest oriented, maybe a Pinterest looking site might do you better. Are you users using phones and tablets? How does your site operate on those? What sharing methods do you have for your site? Do you have amazing content? Is it clear and concise on all your web pages? Do you make it easy for your customers to purchase? Do you make it easy for your customers to find the purchase page? With the least amount of clicks possible? Is it spelled out so easy your customer can find it drunk? Do you have a value proposition page? Providing easy, convenient distribution is a huge part of the marketing process. Think of ways to improve access to your product and incorporate it into your marketing plan. Promotion is about getting people hear about your product and want it. Advertising campaigns, guerrilla advertising, public events… all contribute to the promotional aspect of the business plan. Find audiences bigger than yours and establish a positive emotional connection with trust and dependability, asking questions and actively listening, empathy and shared experiences, and respect. Make sure your customers and readers know they are your top priority. When deciding on promotional avenues, you have two choices. Take one pace and penetrate it aggressively, or barely touch multiple places. Find a balance between the two. You only have so much time to spend on promotion, so don’t give yourself too much to do. Penetrate each area and market just enough as too much marketing in one location can annoy people, and choose places you think will be most effective. The key is to find your market, not just anyone. Find Influencers with the same target market as yours and establish a rapport with them by commenting on their posts and social media, and then tweet your work their direction. Choose carefully between which is right for you. Use of banners and ad squares should be aimed specifically at the target market, especially if you can find a place where the users are already interested in your product such as advertising your blog on another blog in your niche (going directly to people who like to read blogs) or maybe showing up under specific search terms in Google. You can host a giveaway on your own, or you can find a group of 10 people who all donate toward the prize and decrease cost while increasing promotion of the giveaway. BlogU and BlogHer are great places to connect with other bloggers and find opportunities. Even better if you can be a sponsor at these events plus attend them. Some of the bigger blogs’ biggest traffic comes from people in the community excited to read about a local’s perspective on the internet. Your local culture also shines through your work, and local people might find it more relateable and up their alley than people on the other side of the world. 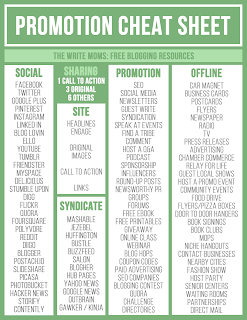 Find your niche and join their community (like parenting blogs? Guest speak at a MOPS meeting). Blog about Fashion? Host a fashion show. Blog about Beauty? Have make-up parties like Avon or Mary Kay. Blog about crafts? Go to craft shows and sell your products, or host arts and crafts time at your local seniors centers. Blog about parenting? Try getting a company in your niche like diapers, bottles, formula to give you products to give away through income-based charities. Print some blog posts in a newsletter and leave in strategic areas like doctor waiting rooms (parent blogger? Aim for pediatricians). Create partnerships with area businesses who have your target market or do something similar to what you do. For instance, if you write a lot about weddings, get involved with local wedding dress stores. Food blogs? See if you can get a grocery store to place your flyers at the end of the checkout or near their flyers. Write about finance? Maybe have a postcard mailed out with W-2’s for local businesses. Hop into other people’s direct mail. Anyone mailing things to your target market might be interested in adding some of your promotional gear. So now we have defined Product, Price, Place, Promotion, Branding and Positioning. The next step is to put all this information into one place, all organized like. The planning process of any business facet involves setting objectives, planning out steps, implementing steps and monitoring results. Objectives: Use your SWOT Analysis, Market Analysis, Industry Analysis and Value Proposition defined earlier to define concise, detailed objectives for your marketing strategy. Ask yourself where your customers or readers are currently going, and what got them there. Bloggers can ask other bloggers about their experiences. Steps: Plan steps you need to take to accomplish your objectives. In many cases, more than one way can create a need to make decisions. Take note when you see that happening so whichever way you go, when you monitor results, you might replan with the other option on the next go at it. Make sure to plan for random giving room to adjust your strategy to the room’s temperature. Implementation: Do the steps. Get excited about doing them, and be in a good mood for it because your mood always shines through your words, art, and endeavors. Do the things that require concentration when you’re most alert, and save things you can do tired for when you are tired. Monitor Results: Many promotion opportunities and ideas are out there, enough to keep you busy for a few lifetimes. Focus on the effective techniques for time conservation by making sure you monitor results and stick to what is working and adapt what isn’t working. In monitoring results, make sure you are receiving a return on your investment (ROI). If you spend 60 dollars to advertise and only make 30, then you probably need a new strategy; however, keep in mind, some things need to be nursed to see a ROI, and others won’t produce a real ROI unless you invest the right amount of money into it. Make sure to hit all major aspects of the marketing cycle: reaching out to new people, engaging people with calls to action (comment, purchase, sign up), and retention. Make sure to hit each step as they are all crucial, but you can also identify which objective you are trying to achieve within this cycle as you look at various steps, at least in the back of your mind, so that you don’t lose sight of what you are really trying to achieve specifically at that point in the game. Consider your objective with your marketing plan. 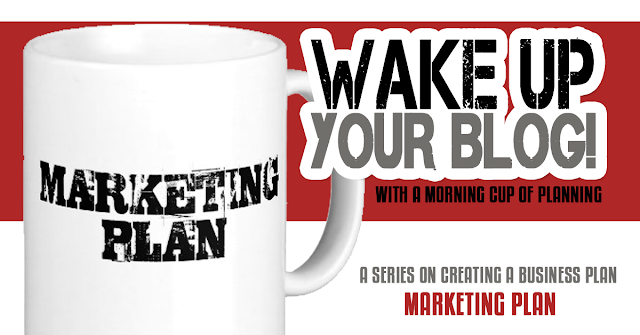 The marketing plan section is really dependent upon your needs for the business plan. If you are using the business plan and/or marketing plan to seek funding or sponsorship, or to give to any 3rd party, you really want to inform in great detail of what you are already doing and follow professional templates; however, if you are creating a marketing plan for your own guide, what you are already doing is a guide to helping you decide what to do, and the final product should focus on what you are planning to do and what you need to do. Also, if you are doing this just for yourself, something quick and easy to read will be more apt to be referenced later down the road again; however, the specific details of each step should be considered at some point in the game. You may have a lot of worksheets to help you decipher things as an appendix to a summary or To-Do list. Do not spend more time than what you need. This is a lot of information for an in-depth marketing plan. If you don’t need to do something, don’t do it. Time is money, and the more time you spend chasing rainbows, you have an opportunity cost to better use your time (such as networking). Only hit the things that are important to you and your business goals. If you need to add to it later, then add to it then. You can also copy and paste parts of this article (or the whole thing) to save in your computer to reference later. Are you a visual person? You may find it easiest to create a marketing plan on one sheet of paper. You can go by hand, utilizing visual elements like thought bubbles connected by lines and other mapping techniques, or maybe a computer print-out utilizing colors and font size. Then you can pin the paper next to your computer to reference regularly like a motivational picture. Organization of Results. While a marketing calendar and to-do list is important, you may want to incorporate the aspects of your marketing to-do list into whatever method you use for a to-do list and calendar to mark important deadlines. You don’t want other projects interfering with your marketing objectives, so working on timing with your marketing objectives might be a give and take situation with other projects you have going. Think about Holidays and seasonal aspects. Try to think the best time of the year to do different projects such as promoting a book on blogging might best be done between January and May when the winter/school months have everyone at the computer more often; however, promoting a book on DIY might be best during the Holidays when everyone is more apt to do extra crafts and decoration projects. Summer is a great time to do more offline promotions. Be consistent with your Brand and Company. It’s one thing to say you are cutting edge, but if you don’t show cutting edge in your marketing, it would send mixed signals to your readership. Your brand, positioning, mission statement, and value proposition should shine through all your marketing endeavors. DreamHost is one of the best website hosting provider for any hosting plans you might require.